I would like to encourage any of you who will be in the state of Minnesota during the week of June 3, to attend a very special program. The brothers of Sir Winston Churchill Lodge No. 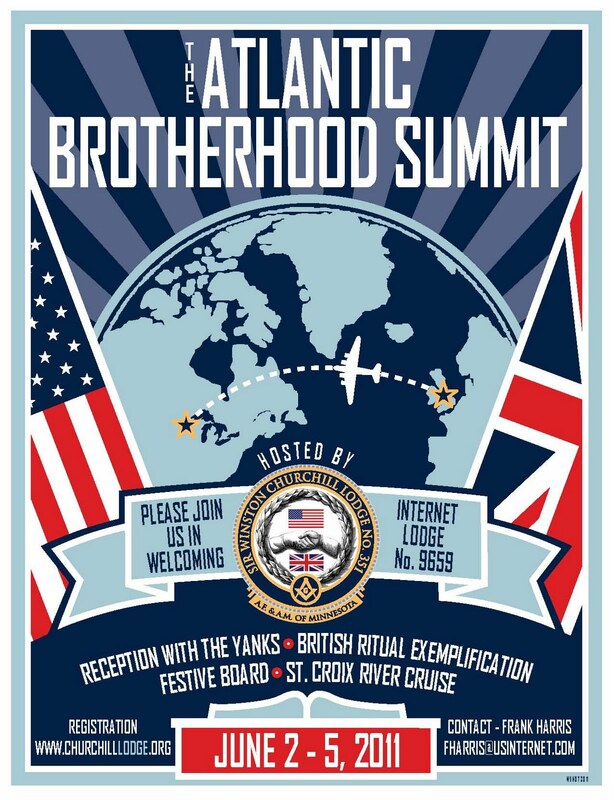 351 have joined with the brothers of Internet Lodge No. 9659 in a week filled with fun and activities. These events culminate in the exemplification of the Master Mason degree using the Emulation Rite and English Style Festive Board. As most of my readers know, most American jurisdictions do not allow any other work to be done in a constituent lodge other than that work which has approval of the Grand Jurisdiction. To have the Emulation Rite to be exemplified in Minnesota is huge. 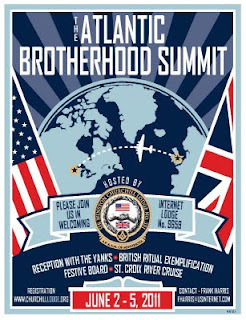 Sat 6/4 – British Emulation Master Mason Degree and Discussion at the Minneapolis Scottish Rite Temple: For the first time in Minnesota history, witness a performance of the Emulation Work by the officers of Internet Lodge #9659. The Scottish Rite Temple is the most beautiful Masonic building in the state, and well worth exploring by a guided tour. There is no charge for this event and the Q&A session immediately following, but guests are encouraged to purchase for $12US a pair of souvenir white gloves, specially created for this occasion. Funds will go to defray the costs of bringing this unique event to the Masons of Minnesota. White gloves, dues card, aprons (provided) and appropriate dress will be required. If you would like to attend the degree, you must have gloves. To help defray the costs of this exciting event, Churchill Lodge is selling $12 gloves which you can preorder here. There are many other events as well for brothers. This is huge. Let's fill the Scottish Rite Temple.